This vaccine gives reliable protection against infectious by other known strains of canine parvovirus. 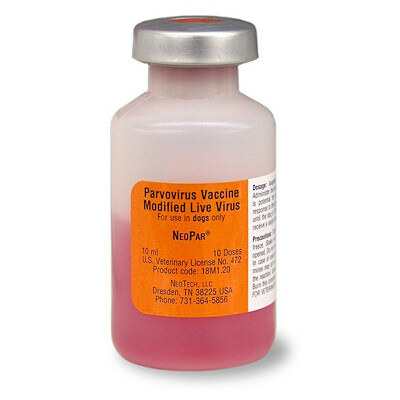 NeoPar overrides moderate to high antibody levels such as those found in puppies having maternal antibodies or in dogs from pre-existing vaccinations. It can be used successfully as a booster for a pre-existing vaccination. Dogs over 18 weeks of age should receive a 1ml single dose. Revaccinate annually with one dose.